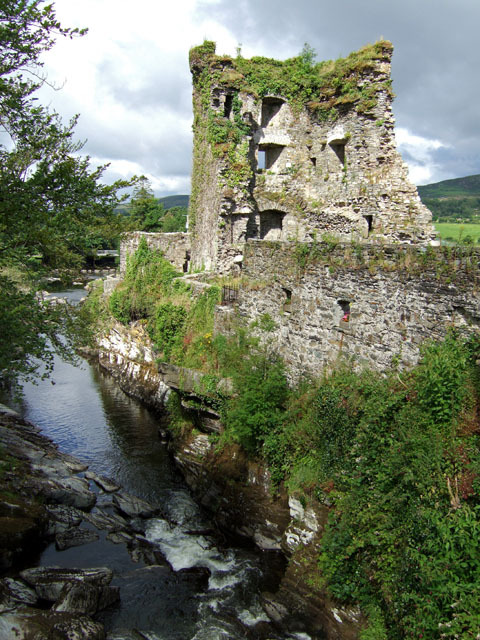 Notes: Carriganass Castle (Caisleán Charraig an Easa in Irish, meaning The Castle on the Rock of the Waterfall) is a 16th-century tower house in County Cork. It is situated about 8 kilometres north-east of Bantry, close to the village of Kealkill, in West Cork. Carriganass Castle was probably built in 1540 by Dermot O'Sullivan, a member of the O'Sullivan Beare sept (or clan), who wielded considerable power in West Cork during the 16th century and early 17th century. The castle passed through the hands of various members of the O'Sullivan clan during a period of internal feuding lasting until 1601, when the O'Sullivans united to support Hugh O'Neill at the Battle of Kinsale. Following the English victory at Kinsale, one of the commanders, Sir George Carew, pursued the O'Sullivan forces back to their base on the Beara Peninsula. A small garrison was left at Carriganass while the bulk of the O'Sullivan force returned to Dunboy Castle; Carew's army easily captured Carriganass before continuing on to lay siege to Dunboy. The O'Sullivans were subsequently dispossessed, and the castle later passed into the ownership of the Barretts, who retained it until the 1930s. During their tenure, a new house was built next to the castle, which deteriorated into its present ruinous state.